The New European, the pop-up newspaper for pro-Europeans, will begin selling ad space using an online auction. Archant, the publisher, will invite media agencies and brands directly to participate in an auction run by sensibledevelopment.com and Mediaforce, its national sales house. 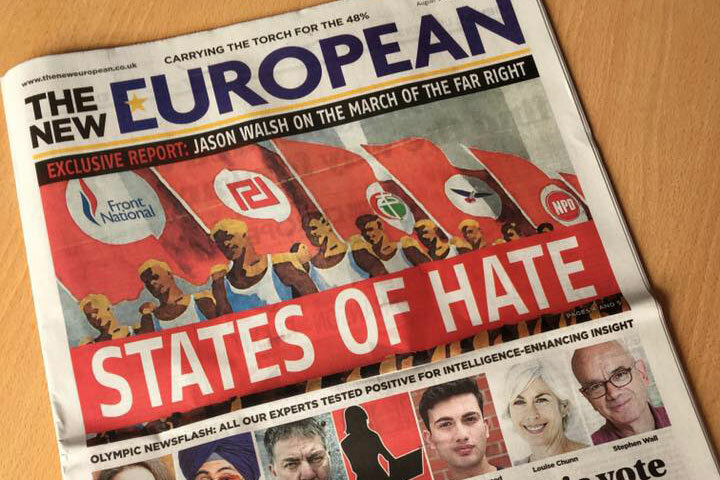 Commercial partners will be offered to bid on full-page ads and sponsorship of the "What’s On in Europe" and weather guide in the centre spread. About 20% of the available inventory is part of the auction process and it is the first time an Archant title has offered bids for buying ad space in this way. The auctions begin today and run until 16 August, in time for the 19 August issue. Agencies and brands will also be able to bid for a full takeover of the issue for the following week. The weekly newspaper launched within nine days of concept and caters for the 48% of voters who wanted to Remain in June’s European Union referendum. After sales and profits exceeded expectations, an initial four-issue print run was extended indefinitely. Its distribution, which had centred on metropolitan UK areas, has also been extended outside of the UK to cities including Brussels, Paris, Strasbourg and Berlin. Craig Nayman, chief commercial officer at Archant, said: "We are incredibly proud of the impact The New European has had and we are reflecting its innovation in our commercial offering. Pop-up publishing provides different opportunities for the media buying community to embrace a new business model."